The Eken A90 going by the hardware specs, seems to be a step-up from the average china made tablet and does offer something to look forward to, but is it a bit too late! (more about that in the concluding paragraphs). The 9.7 inch IPS display with 1024 x 768 resolution, 2 MP rear camera and a 0.3 MP front facing camera, 1 Gb of RAM and the A10 AllWinner Processor are what I would consider the standout specs of the A90. 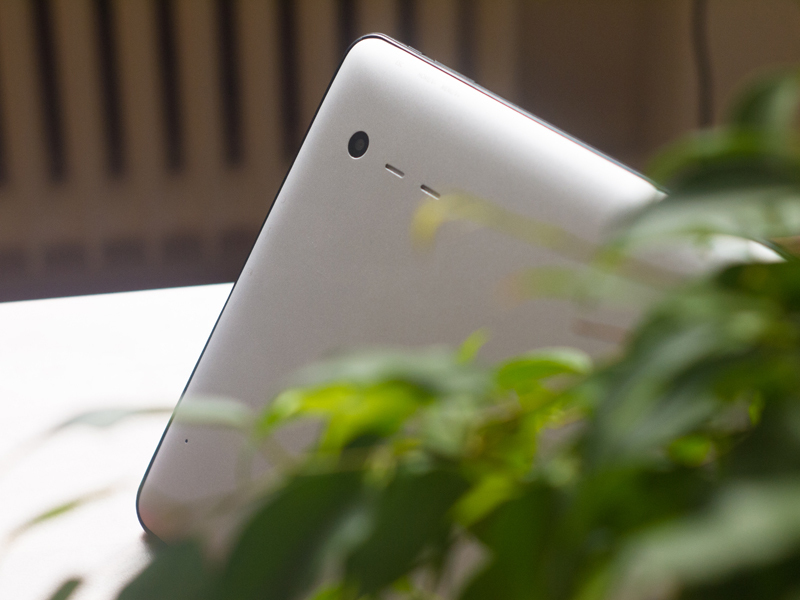 The regular low-end tablets skimp on providing dual cameras, granted the ones on the A90 are not good but decent enough to get through a Skype video call in a well-lit environment and probably some ok images and video with the front facing camera. To start, I never expected great build quality for a tablet of this price (those costs have to be cut some where..) and Eken did not disappoint. An all plastic shell gives the Eken a good finish but not a good build. The plastic used is cheap and the back gives-in at a finger press! The glass display is good enough but I seriously doubt whether the tablet would survive multiple tumbles, of course a case of some kind would really help if you intend the tablet to be used by kids (or even grownups for that matter). The screen also tends to slightly give way along the edges when pressed or held (in that area), but that seems to be an issue with other branded tablets (nexus 7 review by geekanoids). The display shows a slight but perceptible flicker when the brightness is pushed below say 40%, of course there is no ambient light sensor in the A90 so there is no point in leaving the screen set to Auto for brightness control. Keep in mind, that the general build quality concerns expressed here seem to be uniform across all budget chinese android tablets that I have read about, so these aren’t Eken specific. 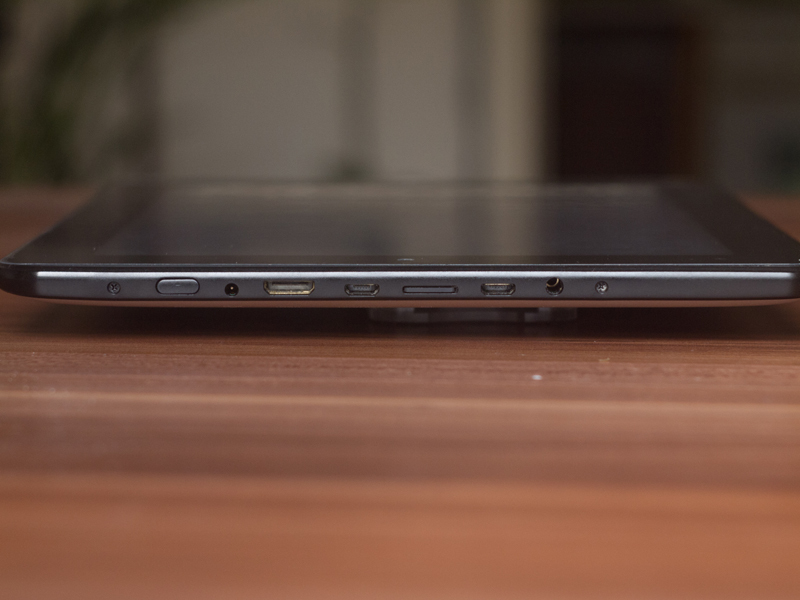 The Eken A90 comes with 2 micro-USB ports, HDMI out, 3.5mm headphones jack and a microSD slot. Connectivity was ont a problem and the provided microSD slot allowed for upto 32 Gb of memory and one of the mini-USB port has host functionality and worked well with most external memory devices, though it did have problems in detecting one of my NTFS portable hard drives. The HDMI out was useful in mirroring the tablet display on a HDTV or other devices and actually was quite useful is sharing videos, photos and slideshows! 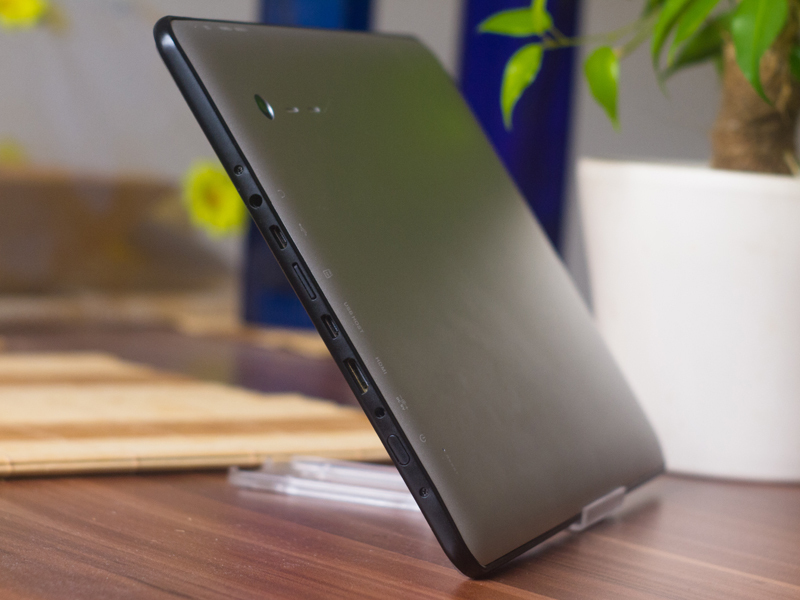 The A90 is a very competitive product in its own market-position, there is no point in comparing it to regular tablet offerings from the likes of Acer, Samsung etc. and I will refrain from doing so!. I do have to state that I have had little to no experience interacting with the comparative tablets from Ainol, Onda, Odys and the likes. Out of the box the A90 is definitely going to impress anybody with that gorgeous IPS display for the money you pay! However with time the Android 4.0.1 ICS starts to struggle every now and then for unknown reasons! The browser tends to freeze often while loading web pages and touch screen performance seems to be a tad bit off. Of Course I went about looking for answers on the web and came across newer firmwares and custom firmwares available for the Eken A90. I didn’t want to the go the custom firmware way, at least not yet! so I went for the firmware update available from Eken’s website. Right now my Eken A90 is running the latest firmware available from Eken and I have to say that there is a definite improvement in performance over the stock version of the tablet. Flipboard, an RSS aggregator app that I was really looking forward to try on Android turned out to be incompatible with the A90 (or the T90A as the Google playstore detects it!). 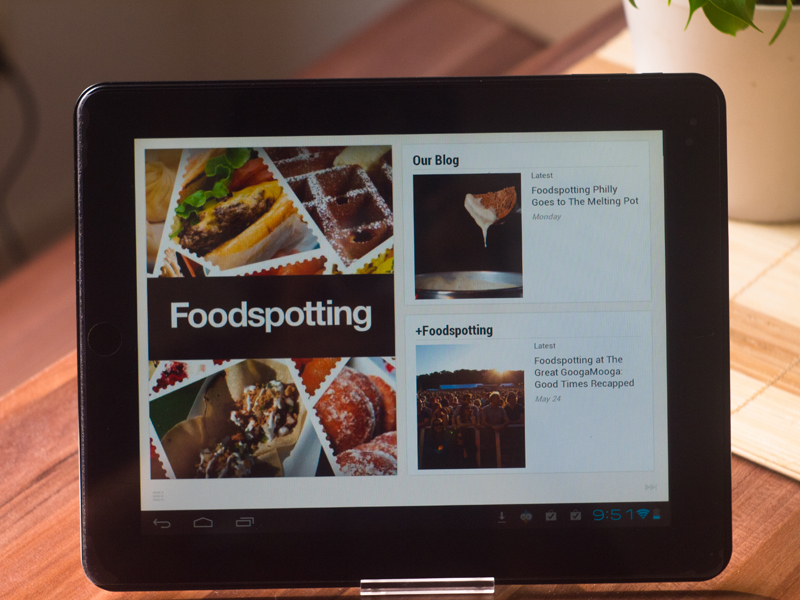 My default aggregator is Feedly on my computer, hence I went with Feedly on the tablet as well. 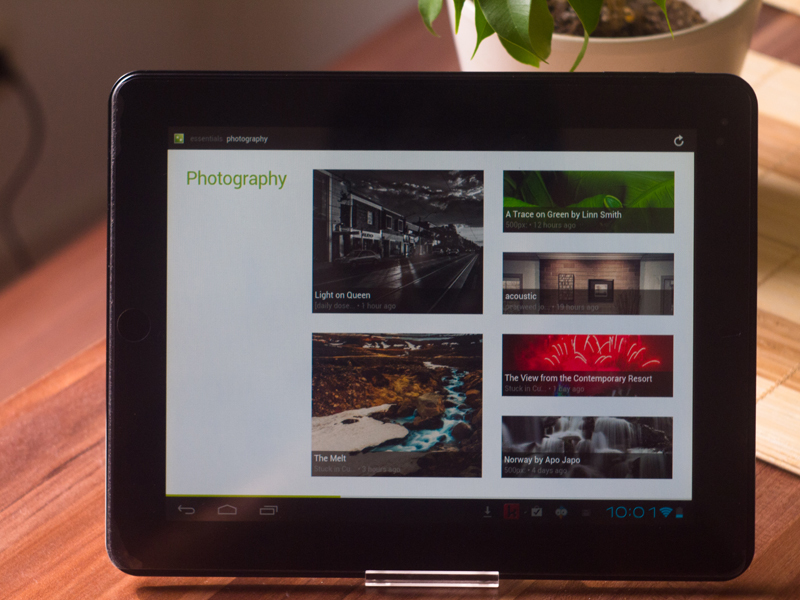 Feedly provided a decent to good experience on the Eken A90, the great display (for the price) and the decent processor makes reading feeds easy. There are the frequent slowdowns here and there,especially when loading linked out content from the RSS feeds but overall the A90 delivers as a solid news reader. 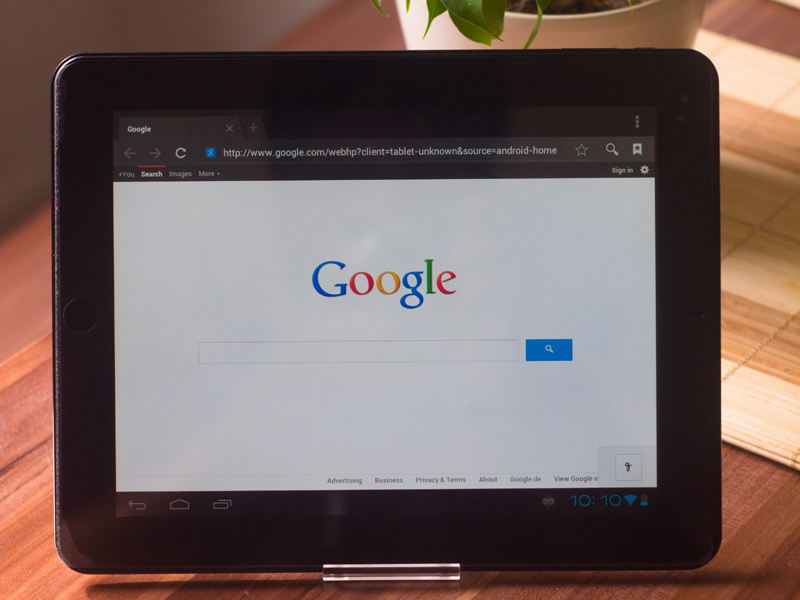 Currents is a recently released news aggregator app from Google to provide an unparalleled reading experience and it delivers well on the A90. I would gladly recommend Google Currents as a worthy content aggregator and its onely a matter of time before it catches up with Flipboard or Feedly. 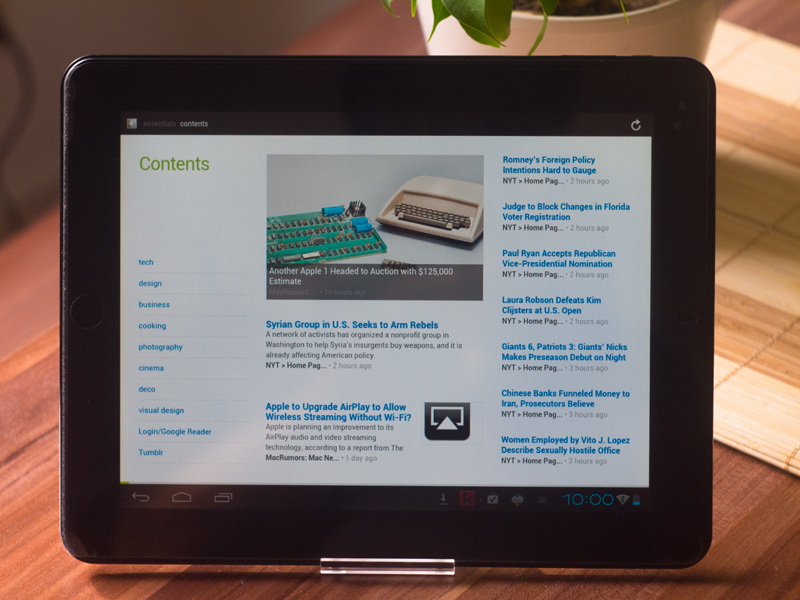 The tablet form factor is one of the most convenient of computing devices for reading. 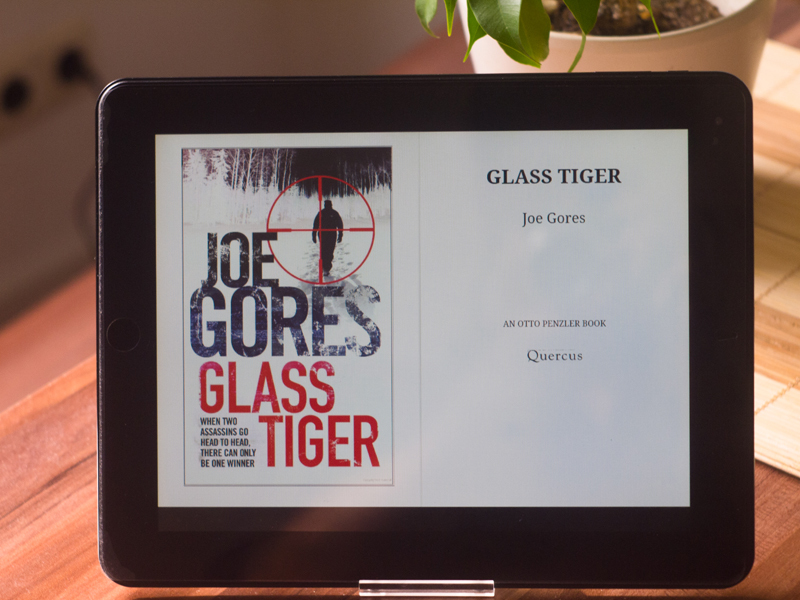 I am a Kindle user and I am sure that is going to reflect on any reading device that I review. 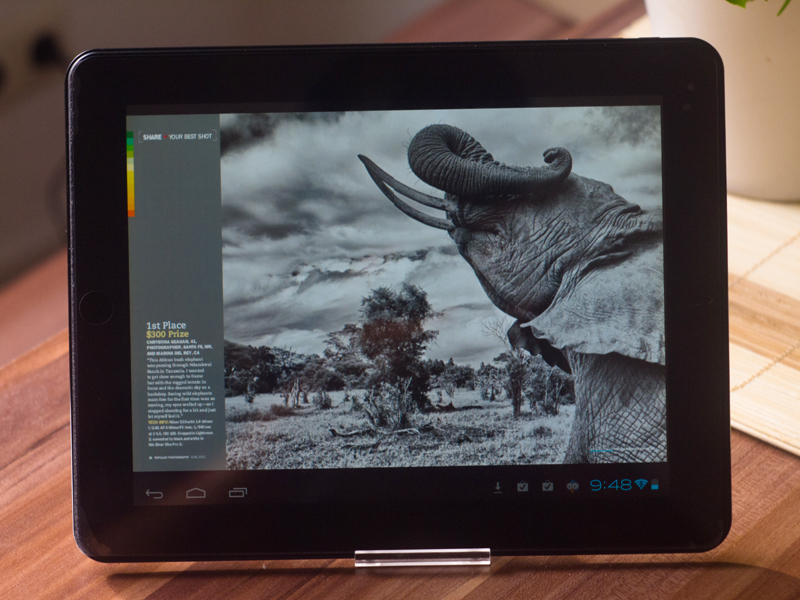 The Eken A90 with its excellent display makes for a wonderful reading experience of web pages and ebooks. I use the Kindle app on the A90 and it performs well, reading experience is good, though one has to get the screen brightness down to avoid eye fatigue. The Google Books experience was also quite good on the tablet, fonts are crisp and it’s a pleasure reading. Page turn animations and reading experience was good to satisfactory. 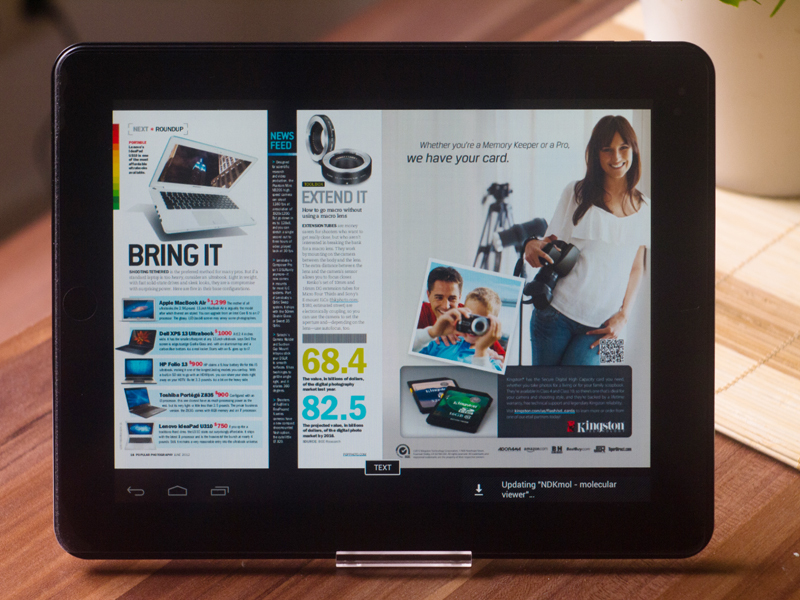 I am a Zinio subscriber and was eagerly looking forward to trying out the magazine experience on the A90. 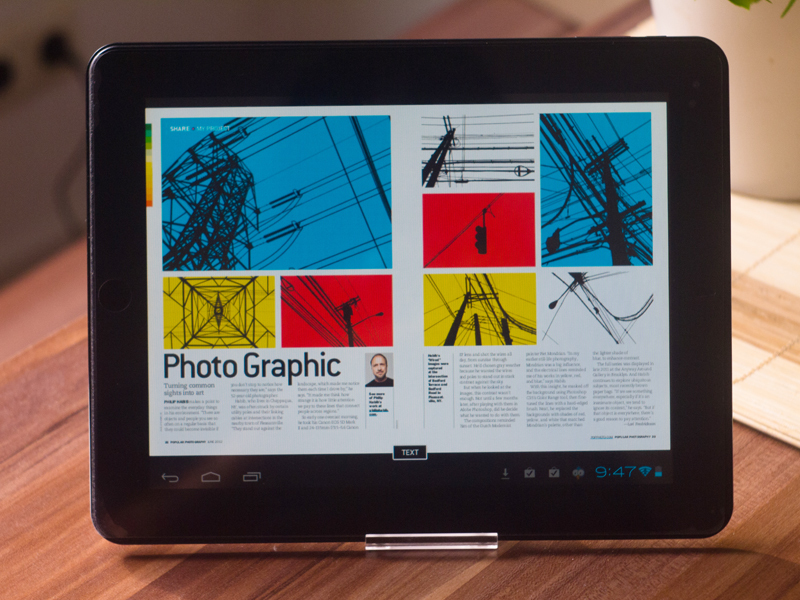 The Zinio app seems to “task” the better priced tablets, on the A90 it is decent. The app does take its time to load, but still very usable. The page turns are well executed but page rendering does have a noticeable delay. The graphics and images on the magazines are a pleasure to see from reasonable angles on the IPS display. The downloading of magazines and the time it takes to load a freshly downloaded magazine is a bit longer than I would like but again at the price range it still feels decent. 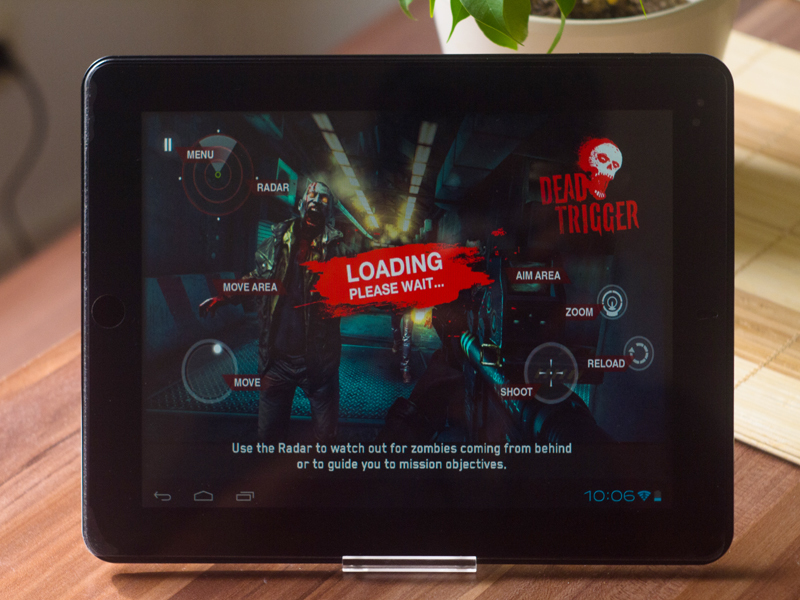 The gorgeous 9.7 inch display is a tempting invitation to try out some gaming on the Eken A90 and coupled with the Mali 400 graphics processor, it should do fine with most casual games. My installs included Angry Birds, Fruit Ninja and couple of other games. The A90 is good with casual games, though if you are moving up to even slightly better games be prepared to face constant slow downs and drop in frame rates. 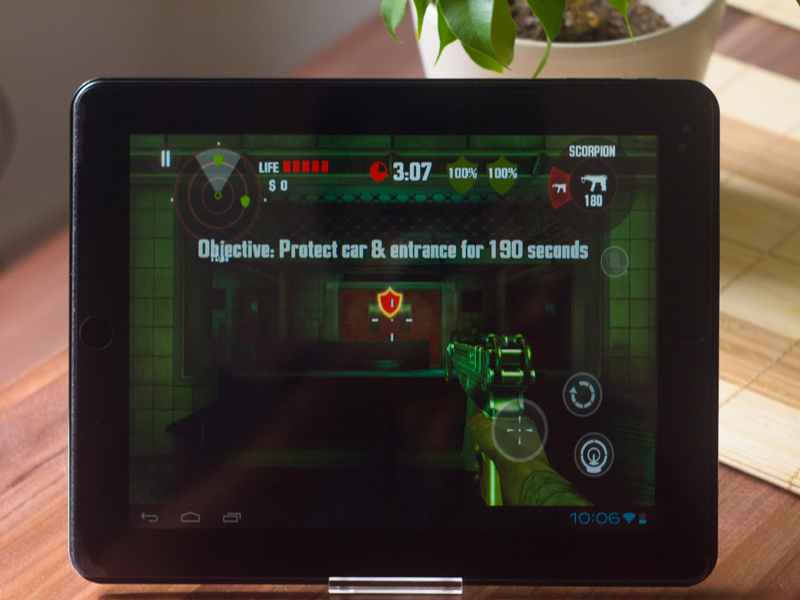 Does the tablet support some intensive games, yes, but its not an experience that you’ll want to go through! Stick to casual games and this tablet is very good, which actually makes it a great choice for kids. On the connectivity side of things, the A90 does a decent job and as mentioned before only had problem with one of my portable hard drives. The USB host port also allows for connecting portable surfsticks that allow for connectivity via 3G. I tried out a Huawei device and it had no problems, though establishing a connection requires special software or apps. The music listening experience on the Eken A90 is passable, just another check mark on a list of features to be included! The stereo speakers provided on the tablet are decently loud but not clear! The fact that they would be facing away from the user also makes the this problem more pronounced. The mic was fine for skype calls and voice chats. 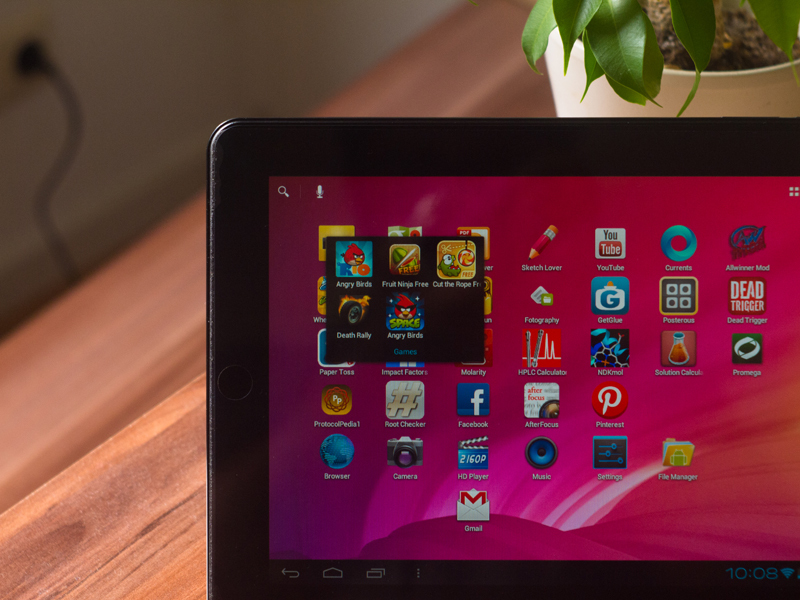 The Eken A90 is a capable tablet for most users, if their tablet requirements are average. 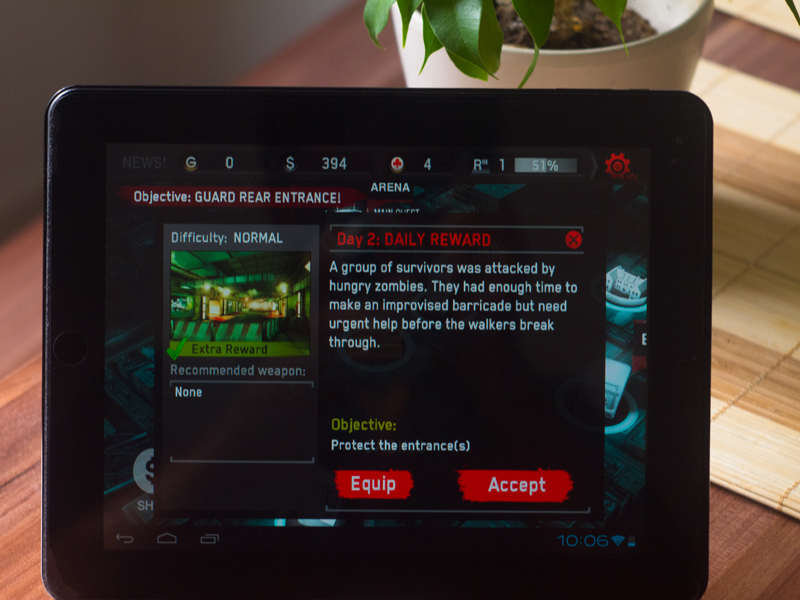 For casual email, gaming, feed reading and even browsing the tablet does a good enough job. Prospective users should be prepared for a sluggish performance every now and then with the default firmware from Eken. I cannot comment on how well the custom firmwares work on the A90 but they do seem to enhance the experience a lot, atleast from what I can see. 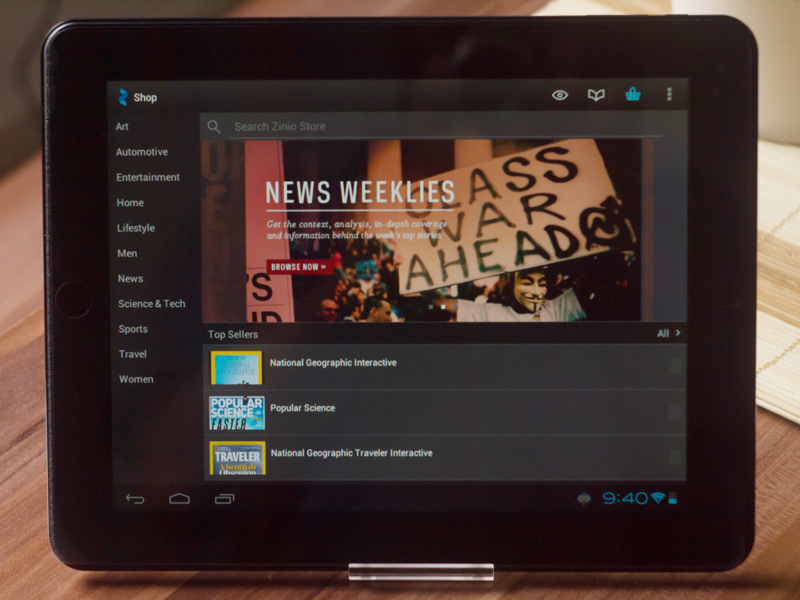 The release of the Google Nexus 7 tablet at a very appealing price point has now put tablets like the Eken A90 is dire straits. Specs wise the Nexus 7 easily bests the A90 and performance is on a different scale altogether. 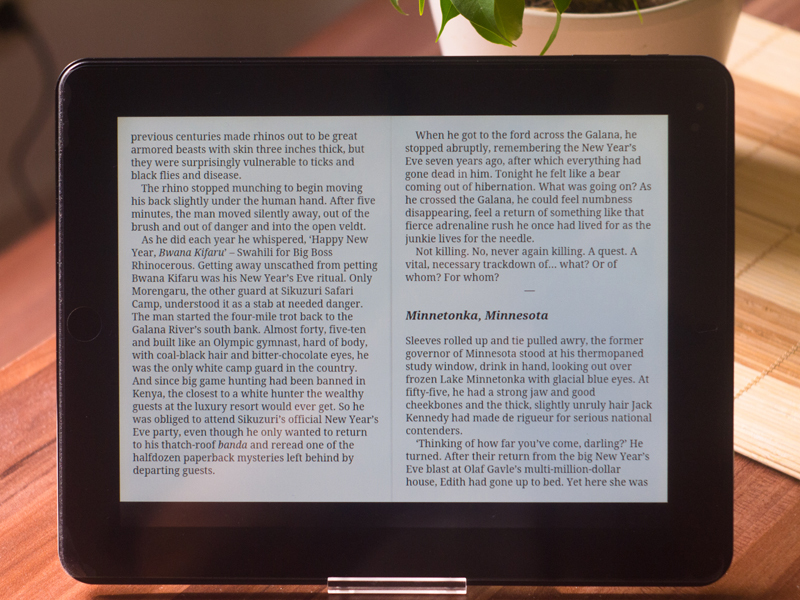 Ofcourse you might consider the A90 just as a media consumption device but then Amazon has also just released its new Kindle Fire as well as enhanced Fire HD models! 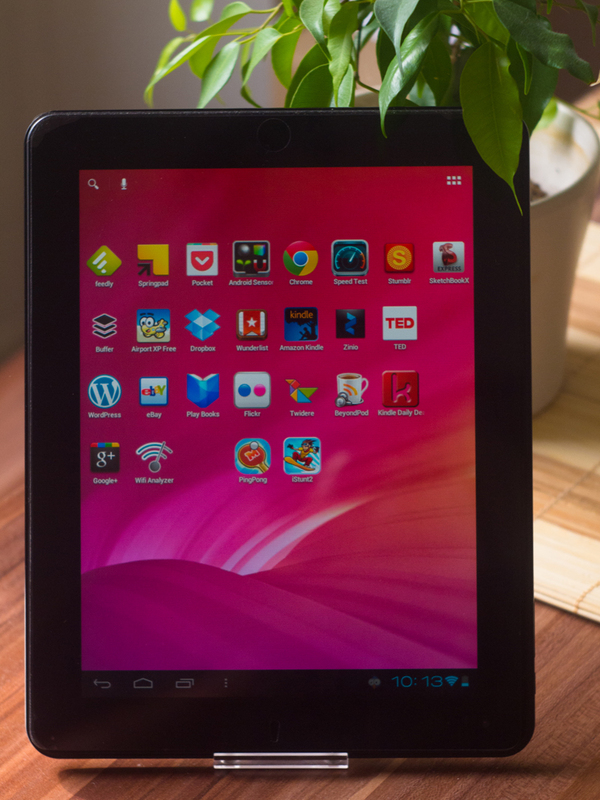 The Eken A90 is a tablet that would best suit tweakers or tech enthusiasts who like playing around with gear, trying things out or if you are looking for a cheap tablet that you wouldn’t probably worry too much if the kids break them. The incredible quality that a 8 Gb Nexus offers is going to drive the low end tablet market crazy and the Eken A90 may just survive if the pricing gets competitive!…a good price for the A90 would be around 100 to 120 bucks! Thanks to Techdolph! and don’t forget to check out his detailed 3 part video review on Youtube. Now EKEN tablets available in India. National Distributor is Aldous Glare Trade & Exports. Hi, thanks for dropping by. Glad you find the post useful. Sorry, I have no idea regarding newer models from Eken.